Leora Neal has spent her life in the pursuit of bringing families together and helping children and families in need. BRONX, NY, September 27, 2018 — Marquis Who's Who, the world's premier publisher of biographical profiles, is proud to present Ms. Leora Neal with the Albert Nelson Marquis Lifetime Achievement Award. An accomplished listee, Ms. Neal celebrates many years of experience in her professional network, and has been noted for achievements, leadership qualities, and the credentials and successes she has accrued in her field. As in all Marquis Who's Who biographical volumes, individuals profiled are selected on the basis of current reference value. Factors such as position, noteworthy accomplishments, visibility, and prominence in a field are all taken into account during the selection process. Compelled to help others ever since she was a child, Ms. Neal has spent her life in the pursuit of bringing families together and helping children and families in need. The now retired social services administrator and adoption training specialist founded the Association of Black Social Workers Child Adoption Counseling and Referral Services, Inc., which is a program of the Association of Black Social Workers New York City Chapter in 1975. She served as the program's Executive Director until 1996. That same year she received employment as an adoption training specialist with the Center for the Development of Services of the Research Foundation of Buffalo State College and was placed as contract staff with the New York State Office of Children and Family Services (NYS OCFS). In that position, she worked in the New York City, Yonkers and Spring Valley Regional Offices of NYS OCFS at various times until her retirement in 2013. Prior to these roles, Ms. Neal was a caseworker for Windham Child Care in New York City from 1967 to 1973 and was a caseworker for the New York City Department of Social Services from 1965 to 1967. A New York City native, Ms. Neal obtained her Bachelor of Arts in Psychology and Sociology in 1965 from the City College of New York in New York City where she decided to become a social worker instead of her original goal of becoming a psychologist. She then earned her Master of Science in Social Work from Columbia University in 1970, becoming certified as a social worker in New York State the same year. She continued her education at Columbia by earning her adoption specialist certification in 1977 under a special training course sponsored by Columbia University and the North American Council on Adoption. In 1982 she obtained an IBM certification after completing the Community Executives Training Course in New York State. Ms. Neal became a Licensed Master Social Worker in 2004 and a Licensed Clinical Social Worker in 2005. Ms. Neal is an accomplished social worker, who has served on various committees, commissions and task forces on child welfare throughout New York and the United States. Leora Neal was also a keynote speaker at the First Annual Conference on Black Children in Care that was sponsored by the Association of Black Social Workers and Allied Professions in London, England in 1983. She is a member of various organizations including the National Association of Female Executives, the Columbia University School of Social Work and the City College of New York Alumni Associations. Furthermore, she is an advisory board member of Greene Resource Services, Inc., chairperson of the New York City Chapter Association of Black Social Workers Adoption Services Advisory Board, the founder of and board president of the Fountain Avenue Community Development Corporation, a board member of the New Millennium Community Development Corporation and is on the Social Action and Spread the Word national committees of Temple Beth El. Ms. Neal additionally served as co-chair on the task force on foster care and adoption from 1994 to 2008 of the National Association of Black Social Workers and was the Outreach Chair of the Missionary Committee Revival Team of the national Home and International Missions Committee of Temple Beth El from 1982 to 1988. Ms. Neal's dedication to helping others has not gone unnoticed. Her awards and honors are plentiful and include a 2012 Worldwide Who's Who Lifetime Achievement and VIP of the Year Award. She received the Distinguished Leadership Award, from the New York City Chapter Association of Black Social Workers; the Center for the Development of Human Services of the Research Foundation of Buffalo State College's Certificate of Appreciation and the New York State Office of Children and Family Services' Certificate of Outstanding Achievement Award, all in 2013. In 2008, she earned the National Association of Black Social Workers' Pyramid Award (which is the highest award given by the organization), and the New York City Chapter Association of Black Social Workers' Pyramid Award in 2005 for Outstanding Service in Adoption. Ms. Neal received the Outstanding Community Service Award from the National Association of Black Social Workers in 1994, the New York State Department of Social Services' No Time to Lose Certificate in 1989, the New York City Chapter Association of Black Social Workers' Outstanding Program Founder and Director Award in 1977 and she became an Adoption Fellow with the North American Council on Adoption of the Child Welfare League of America in 1976. Ms. Neal shared her knowledge with the world in a 1993 book that she co-authored with Al Stumph entitled, “Transracial Adoptive Parenting: A Black/White Community Issue,” which was revised in 2003. The book was accepted into the Schomburg Center for African American History and Culture's research library. She has contributed her writings to professional journals, newsletters, and books. She is a self-publisher and owner of Haskett-Neal Publications which began in 1993. She attributes her success to her faith in God, the support of her family over the years and her many mentors including, but not limited to author and Professor Florence Hollis, who was prominent in the field of social work and was Ms. Neal's school field work advisor at Columbia University School of Social Work. She also acknowledges her supervisors, directors and teachers throughout the years. Though her awards and accolades are vast, she considers advocating for justice for all peoples but especially minority children and families, who often experience systemic discrimination and finding permanent families for hard-to-place and special needs children and teens through adoption, to be the highlights of her career. Ms. Neal strives to understand the psychological and sociological issues people face in order to empower them and considers this understanding instrumental in social work. In addition to helping others, Leora Neal is interested in writing, religious studies, travel, cultural activities, history and dance. She is married to Robert A. Neal, MD who attended the Albert Einstein College of Medicine. He was one of the first black psychiatrists to be President of the American Psychiatric Association, Bronx Chapter. Ms. Neal's children are Marla Patrice Neal, a pre-school teacher, a professional actress and a member of the Kappa Delta Pi, International Honor Society in Education, and Johnathan Robert Neal, a human resource worker and an artist. 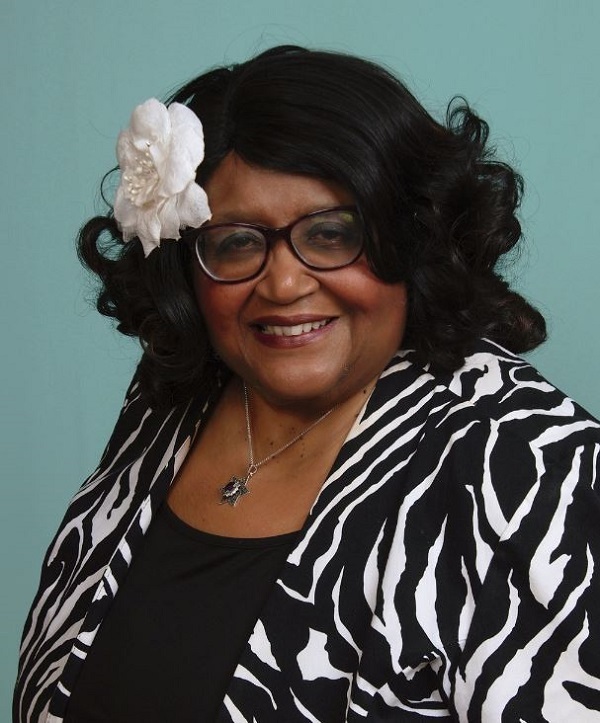 In recognition of outstanding contributions to her profession and the Marquis Who's Who community, Ms. Leora Neal has been featured on the Albert Nelson Marquis Lifetime Achievement website. Please visit www.ltachievers.com for more information about this honor.